Diacetone alcohol was reported to be apparently clastogenic (producing structural chromosome changes) in one series of experiments. This effect is unlikely to be due to interaction with DNA since diacetone alcohol does not possess any strongly electrophilic groups. An anti-mitotic effect may be due to the length of treatment and/or changes in osmolality (Brooks et al., 1988). Diacetone alcohol did not induce reverse gene mutation in bacteria or mitotic gene conversion in yeast. However, in the rat liver chromosome assay, in the concentration range 2,000-4,000 |g/ml a small increase in chromatid damage was seen (4,000 |g/ml caused >60% growth inhibition of the cells). This effect was not dose related but was seen in two experiments. In the first, concentrations of 3,000, 1,500 and 750 |g/ml diacetone alcohol were used and a small number of chromatid exchanges, breaks and acentric fragments were seen in cultures exposed to the highest concentration. The second experiment examined the effects of concentrations of 4,000, 3,000 and 2,000 |g/ml diacetone alcohol. Chromatid breaks, exchanges and acentric fragments were seen at the lowest level but similar effects were absent at 3,000 |g/ml and only a single chromatid break and two fragments were seen at 4,000 |g/ml. 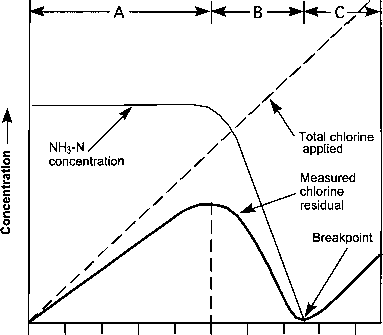 In both experiments a small increase in the incidence of chromatid gaps was seen in cultures exposed to diacetone alcohol (Brooks et al., 1988).